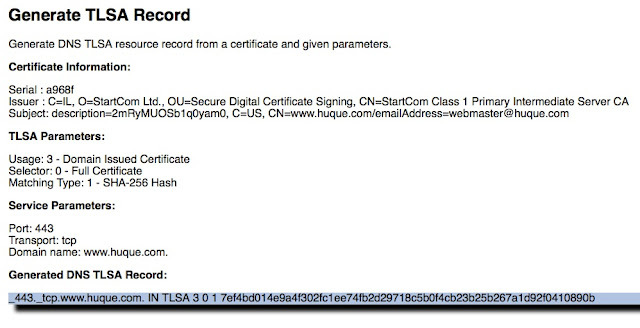 Last year I wrote a blog article on DNSSEC and Certificates. Occasionally I get questions from folks who've tried to follow my instructions to create the content of TLSA records, but have failed because they are using a version of openssl that is too old to generate SHA-256 and SHA-512 hashes. Once again, I'm teaching a couple of courses at the USENIX LISA conference, this time in Washington, DC. The first is a half day course on DNSSEC on Sunday, November 3rd. And the second is a full day course on IPv6 on Monday, November 4th. I hope to see you there if you're interested in learning or talking about these topics. Early bird registration discounts for the conference end on October 22nd (sorry for the short notice). Matt Simmons (@standaloneSA) interviewed me about both classes: DNSSEC and IPv6. The grand opening of Penn's new Singh Center for Nanotechnology is tomorrow (Friday, October 4th). Computing directors in my department got to see it a week early when we held a special meeting in the Forum room. This post contains a few photos from my visit - of the building exterior, hallways, and conference rooms. The labs weren't open yet. The full set can be found at Google Plus. * Philadelphia Inquirer - "Changing Skyline - Inga Saffron"
* Philadelphia Inquirer - "Penn going all out for small science"
This cantilevered section houses a conference room - the Glandt Forum room. The Forum room, where our meeting was held. At the edge of the cantilevered section. Looking westward along Walnut St towards the rest of campus. Directly in front (right side) is the Laboratory for Research on the Structure of Matter (LRSM). To the left is the David Rittenhouse Lab. View from the green rooftop terrace. "We Lost" sculpture by Tony Smith. The Internet Society recently published results of their latest round (September 17th 2013) of IPv6 measurements. The measurement data is provided by Google, Facebook, Yahoo!, and Akamai. From the description on the website: "We present measurements of network operator participants in World IPv6 Launch, based on data received from major website participants, as described in more detail below. We present a simple average of the data received, and list all networks with measurements from at least two sources, with a simple average above 0.1%." I find it instructive to sort the results by the percentage of requests from each participating network that are composed of IPv6. This is a pretty good indicator of how extensively these networks have deployed IPv6 to their end users. Note: the measurements are only done for networks that have signed up as participants in World IPv6 Launch. If you've deployed IPv6 to your users, you should consider registering your network to take part in these measurements. Here's a ranked list of these networks sorted by percentage of IPv6 requests of the total from each.